Learn about popular mortgage companies. For many first-time homebuyers, downpayment assistance makes obtaining a home of their own possible. Whether the assistance comes from a non-profit organization, a governmental agency, or even a generous relative or friend, there are many ways for cash-strapped people to receive some form of assistance when attempting to purchase a home. The higher a downpayment, the less the monthly payment will be. Depending on what type of mortgage loan an applicant seeks, a downpayment of at least twenty percent of the loan may be required in order to avoid Private Mortgage Insurance (PMI). Although many lenders offer loans which split up the downpayment into an equity loan (often referred to as an 80/20 or some other combination), this is not an ideal mortgage loan scenario. A conventional mortgage loan will ideally begin with at least a twenty percent down payment. The goal of these non-profit organizations is to assist people in attaining the goal of homeownership when they may not be able to do it on their own. The Federal Housing Administration (FHA) and the Department of Veterans Affairs (VA) are two governmental agencies which assist qualified applicants by guaranteeing their home loans. This means that although the loan is not through either of these organizations, it is guaranteed and therefore more attractive to lenders. FHA loans incur little out-of-pocket expense during the buying process, and VA loans do not require any downpayment. Additionally, many state governments offer special downpayment assistance programs. People who are fortunate enough to receive a lump sum of money from a friend or relative for a downpayment will still need to be aware of certain regulations regarding monetary gifts which lenders may have. For example, some lenders may require that any money gifted to a borrower by a friend or relative is accompanied by a certified letter from the benefactor which states the money is a gift and not a loan, and will never need to be paid back. Lenders do this to ensure that borrowers are not creating even more debt in order to purchase a home. Not all lenders have this requirement, but it is important to be up-front and honest about where funding comes from. Lenders will ask where the downpayment is coming from. Even if the borrower fails to mention that the money is coming from a friend or relative, the lender may request copies of savings accounts. 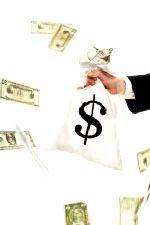 If the money is not in the accounts they will question the applicant as to where the money is coming from. Large deposits into accounts will likely also be questioned, so having the money put directly into an account will not necessarily help the borrower to avoid disclosing where the money for the down payment came from. The Federal Housing Administration website is an excellent place to start when searching for downpayment assistance. A simple Internet search may not be the ideal method by which to search for downpayment assistance; there are organizations online which purport to provide downpayment assistance, but in truth they are unscrupulous organizations out to steal money from would-be home buyers. Before signing up with any assistance program, potential homebuyers need to ensure the helping organization is legitimate, otherwise applicants may find themselves in an unfortunate situation.